Fes has been a centre of religion, learning and craft for centuries. 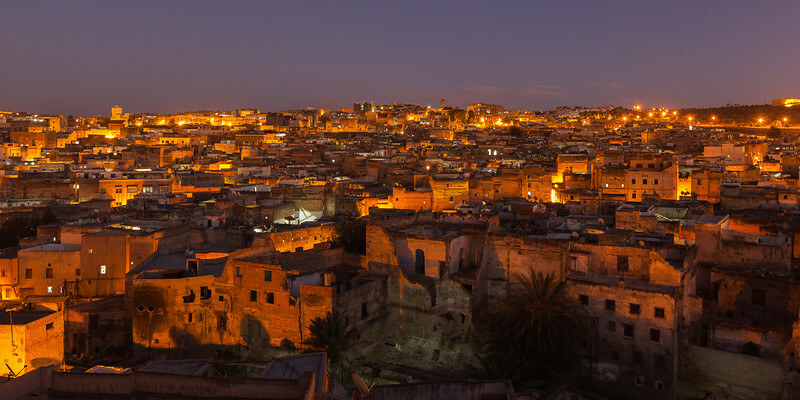 This is a view over the ancient medina taken after sunset. The city is quiet and bathed in a golden glow whilst the population takes Iftar, the meal that breaks the fast each day during Ramadan.